Who are the top 35 male idols with the most songs copyrighted under their name? 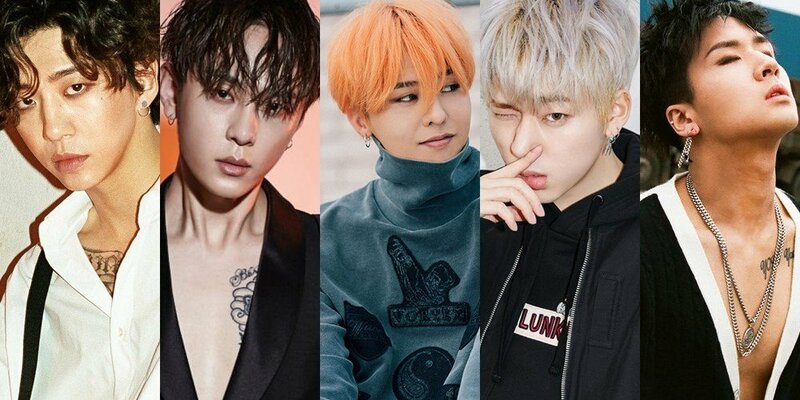 It's no surprise that G-Dragon�tops the list of male idols with the most copyrights under his name. 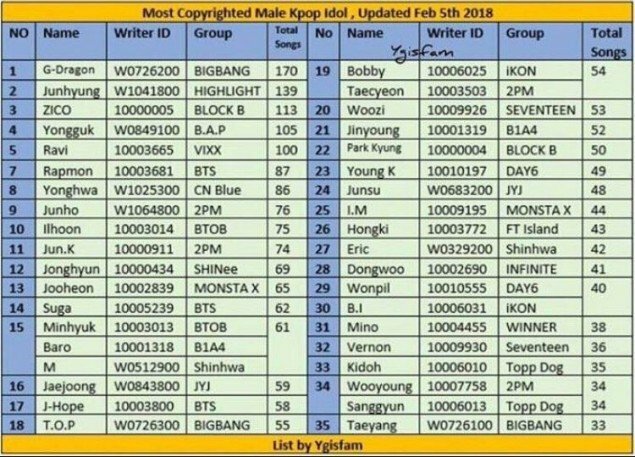 A fan compiled the list of male idols with the most copyrights under his name according to the Korea Music Copyright Association. This means an idol has either composed, produced, and/or written lyrics for the song. Coming at #1 is G-Dragon, who has 170 songs. 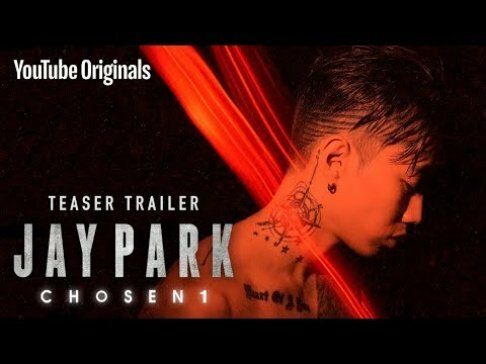 Highlight's Junhyung, Block B's Zico, B.A.P's Bang Yong Guk, and VIXX's Ravi�all have 100 or more songs under their name. BTS' RM, CNBLUE's Yonghwa, 2PM's Junho, and BTOB's Ilhoon�round out the top 10.